Cupboards seems like a thing that should be functional and…square, but modern design solutions offer many unexpected shapes, colors and functions. 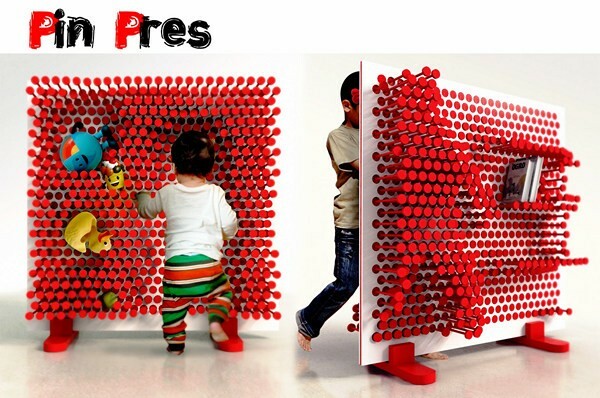 Have a look at 10 cupboards with unusual designs. 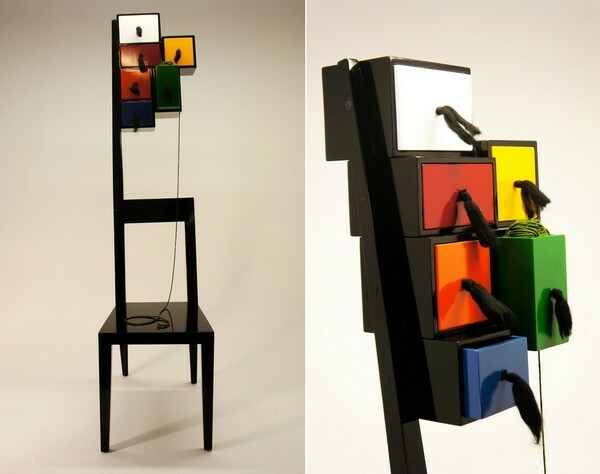 Grandma Chair designed by Bora Cakilkaya was dedicated to his grandmother with whom he lived many years in one apartment. It is a chair with a really long backrest that ends with a commode. There are six colorful small drawers where grandma can store, for example, yarns and it makes knitting on the chair 10 times easier and more joyful. Another cupboard is for kids. It’s called OOO My Design and was made by Pin Pres. This one looks more like a toy than furniture. Children have to pull on tassels to open drawers with toys or books. This item available in four colors: yellow, purple, blue and red. Next storage rack is called Punished! – To the Corner! 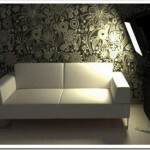 In our homes corners are almost always left without attention. Creators of this storage rack dealt with it! 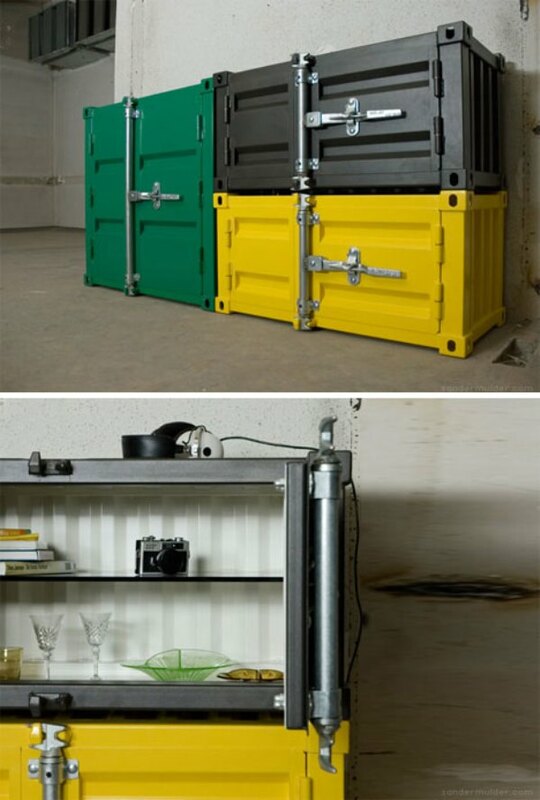 It is a perfect decor solution for small rooms but be sure that there is nothing heavy keept in these boxes in case it could fell down on somebody’s head. Punished! – To the Corner! 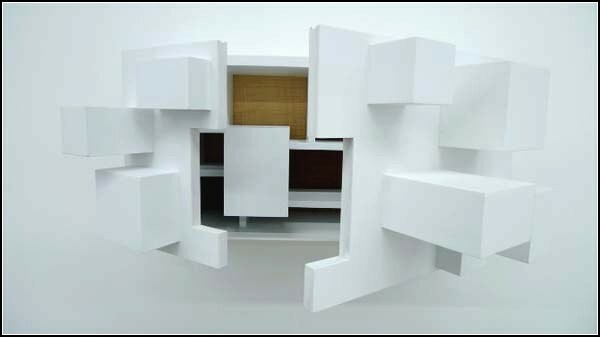 Twin Shelves were made by Chilean gt2P Studio and Russian mathematician Sergey Voronom. 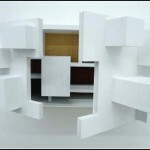 Design of Twin Shelves is based on the Voronom’s three-dimensional charts theorem. 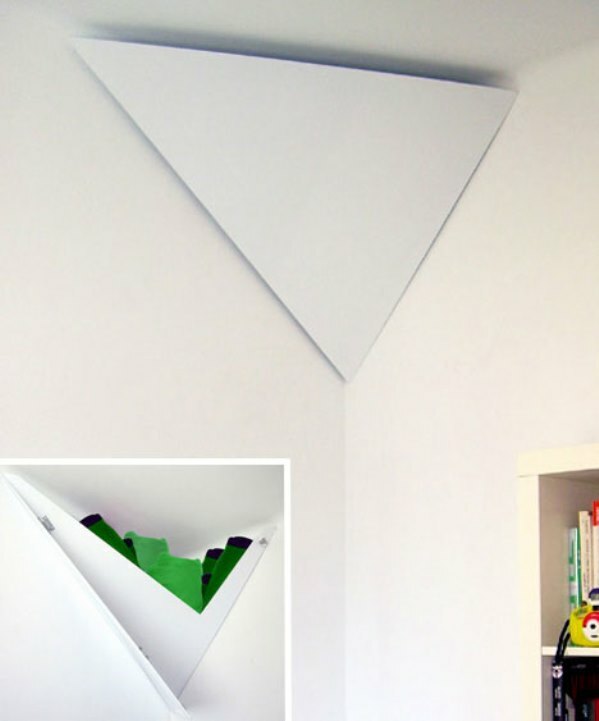 You can put two pieces of these shelves together or separate them or place in a horizontal way to divide the space in room. 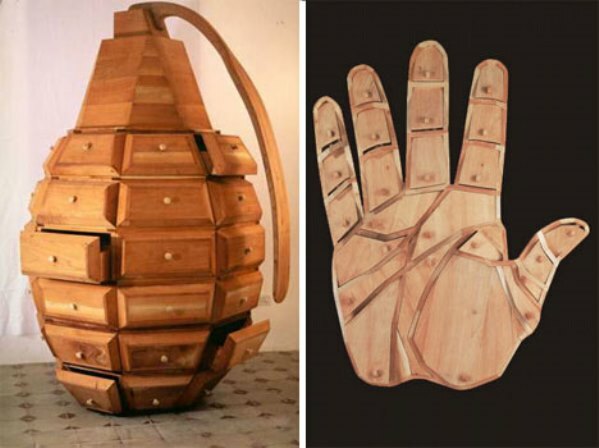 The Grenade dresser and The Hand are the quirky works of Havana-based designers Los Carpentiros. The Hand has uncomfortable drawers and The Grenade has huge unused piece on the top but you have to agree both look attractive and humorous. And anyway these items were made to look at them rather to be one hundred percent practical. 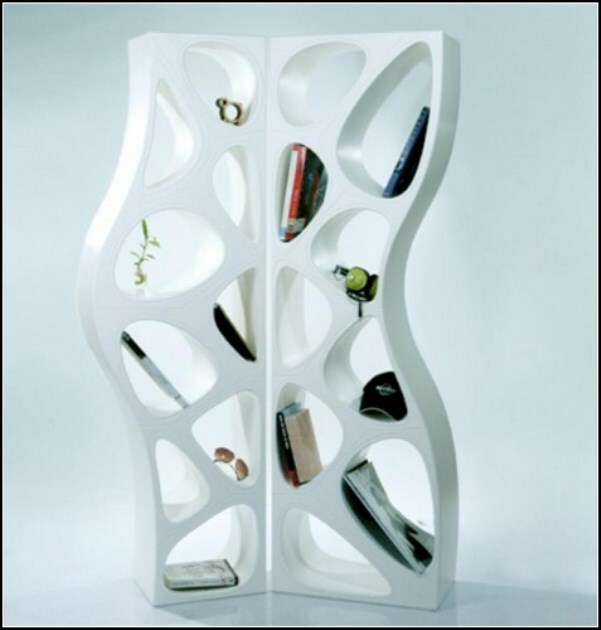 Wha Cabinet project by Tembolat Gugkaev is a magic bookcase. 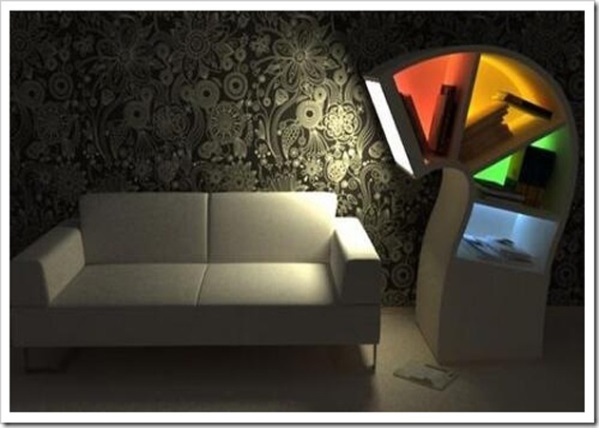 In the daytime it is nothing more than an ordinary bookcase, but at night time it lights up with cheerful colors and/or can light the book that you are reading with monochromic day-light electric lamp. 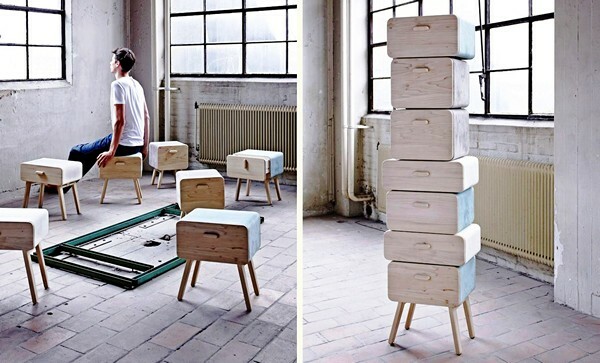 Oturakast cabinet by Rianne Koens is a multi-functional chest of drawers. Must-have thing if you are just moved into a new empty flat. This commode could easily be turn into a several backless stools, where your guests can sit on. Rianne Koens won several awards including for the Oturakast cabinet. 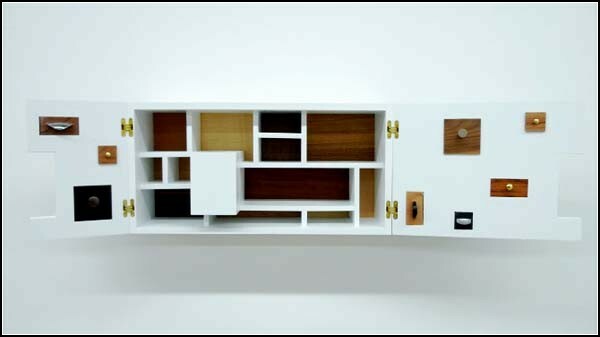 Psych Cabinet by Vivian Chiu inside has many hidden drawers of different colors and made from different type of wood. 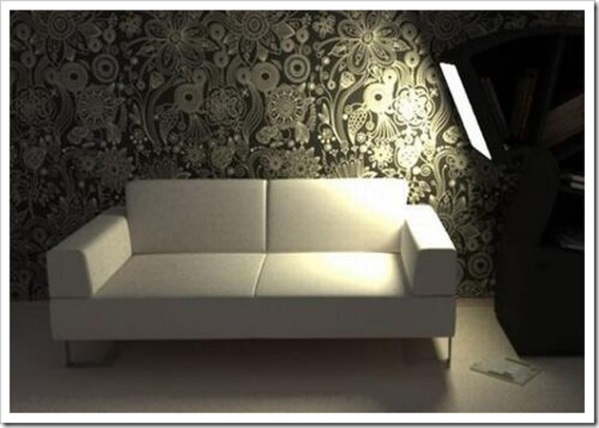 But on the white background they make warm feelings. 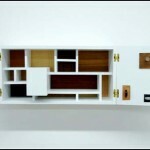 This cabinet, since it has protruding parts, will look better in rooms that have a space. The rack by Proxy is an ode to the harmony of simplicity and originality. 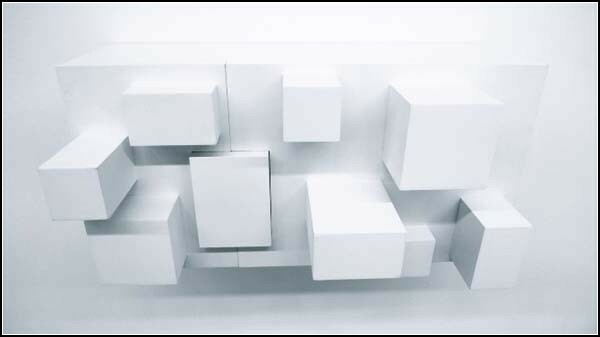 Two the most classic colors – white and black, two the most simple shapes of shelves, but crossed like one of them is falling from the other one! 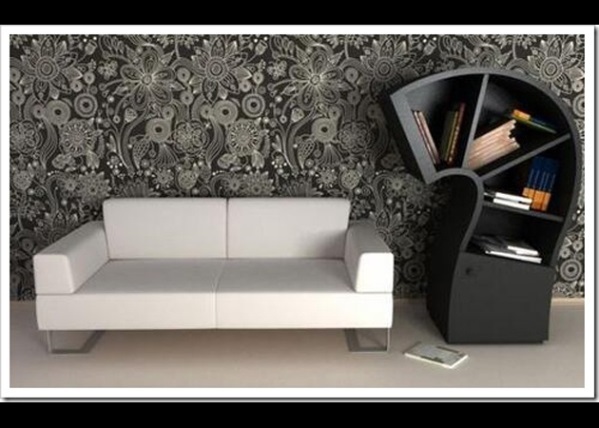 And here we get not ordinary look of the bookcase! Shelves’ different sizes and angles of inclination allow you to sort and keep books by sizes or authors or however you want. 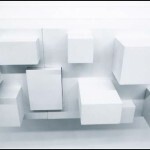 Pandora storage system from Mocoloco used the trick loved by many designers – it made like a shipping boxes, stick together and waiting to be picked up and sent somewhere far away. Looks a little heavy but for some interiors it is not a disadvantage. 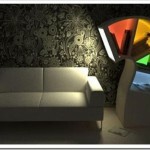 Bright colors and modules that can be combined make a perfect choice for the teen boy’s room.